My birthday is when the year really begins for me. No doubt it has something to do with the earth being turned over and the possibility of growth on the horizon. It's a new beginning, and I'm down with that. Every year there's a rebirth, which just so happens to be the meaning behind my name. Coincidence or careful consideration by my parents? Probably a little of both. I never make new year's resolutions, but my birthday is different. I tend to set goals, intentions. I send out whispers of hopes and dreams to the universe, crossing my fingers she's listening. As the sun shines longer and the birds sing louder, and the buds think about blooming, I'm grateful for these days; these small things. Birthdays are all about treating yo self, and this year I decided to do it up with a batch of doughnuts, giving my doughnut pan a trial run. To be honest, I'd never eaten a baked doughnut before, and I have to say these are pretty darn good. 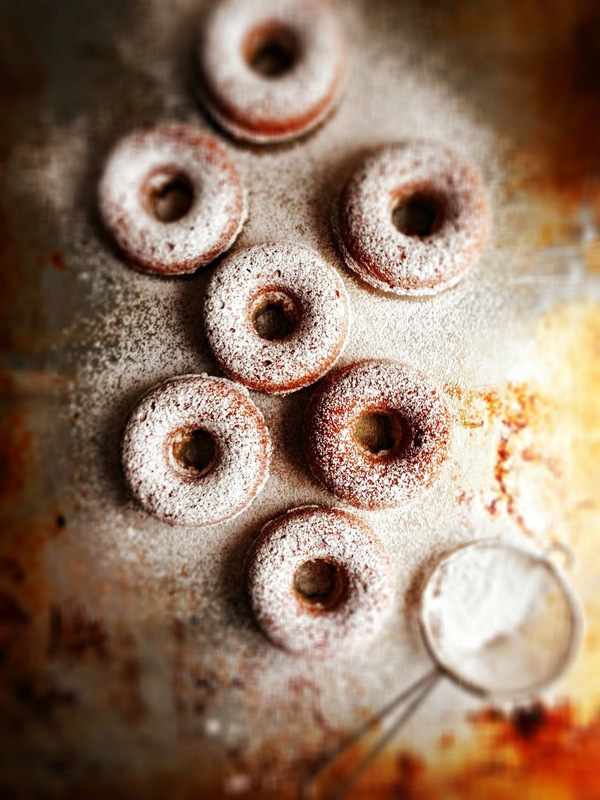 They will remind you of a cake doughnut, with a bit of a crackly edge and a tender crumb. You do lose some of the flavour that the deep-fried action creates, but you save on calories and fat. And you don't risk getting splattered by drops of flaming hot oil. This process is painless, I promise. Just a quick batter, scoop the mixture into a piping bag, and bake for about 10 minutes. Did you hear that? 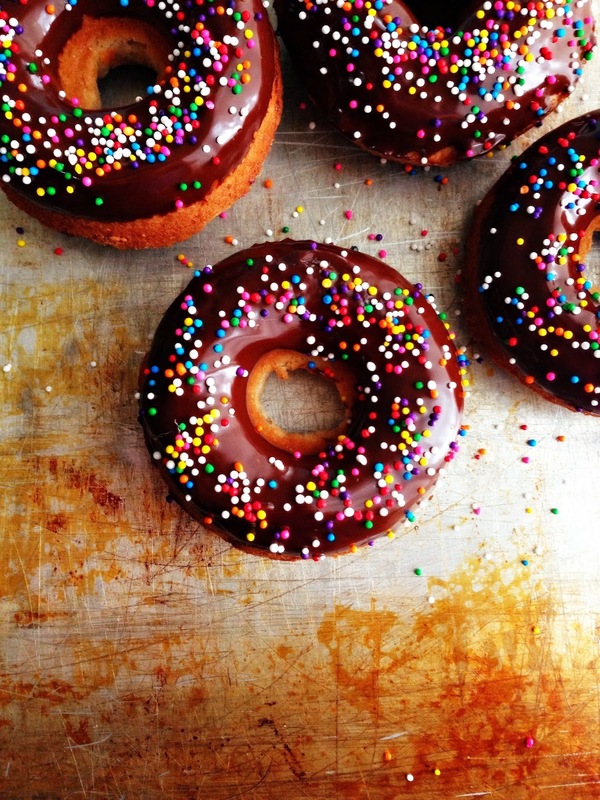 Doughnuts in 10 minutes! 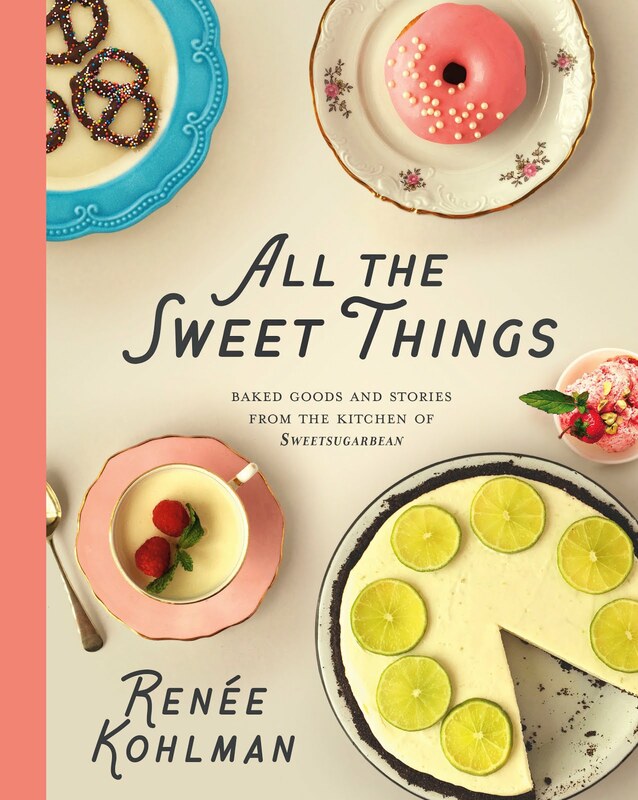 At first I wanted to finish them all in a chocolate glaze with sprinkles, but in typical Renee fashion, I was running out of time before friends were due to arrive. 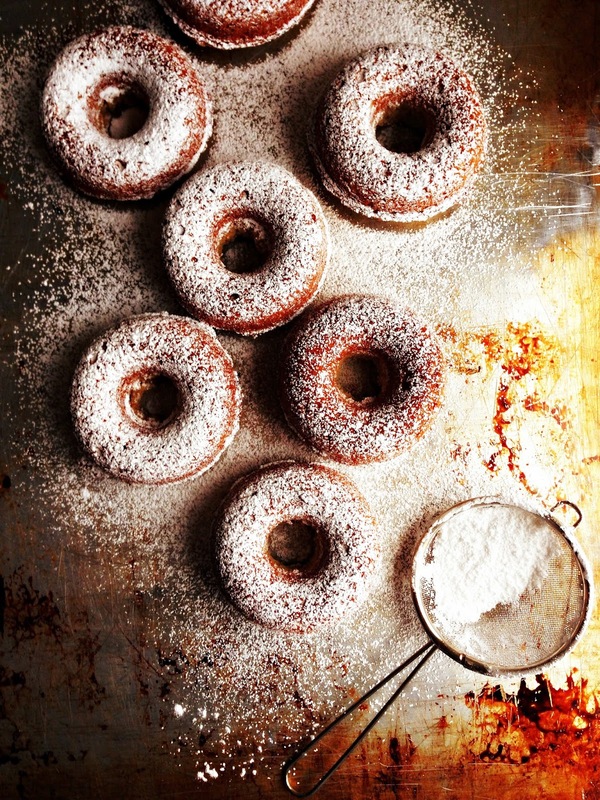 Now, this recipe makes about 18 doughnuts and I certainly do not need 18 doughnuts in the house where I live by myself. I wanted to share the doughnut love with my friends, so a quick dusting of powdered sugar is what happened to half the batch, and the next day when I had a free moment I glazed the other batch in dark chocolate. 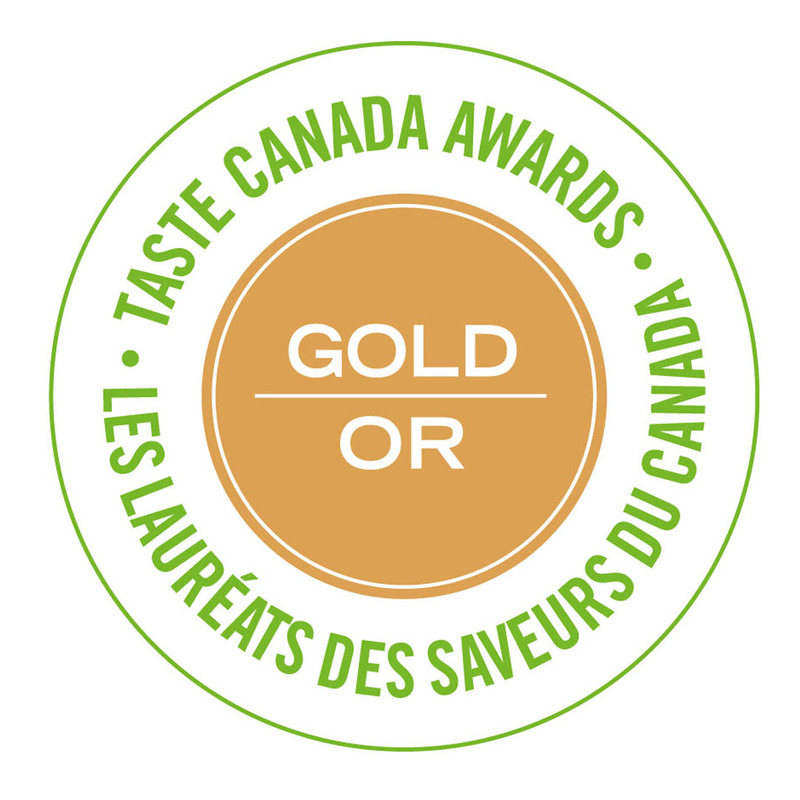 Verdict: both were delicious. 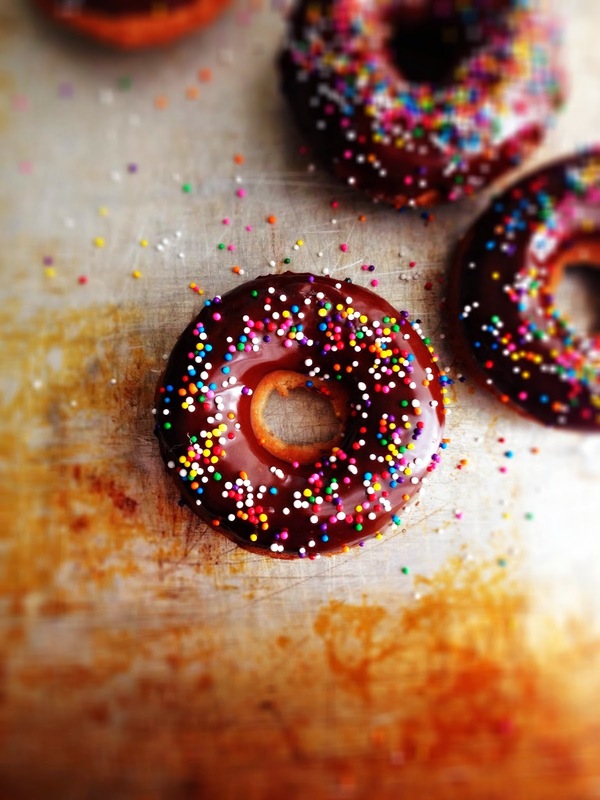 The doughnut itself is not very sweet, and lends itself well to both decorative applications. 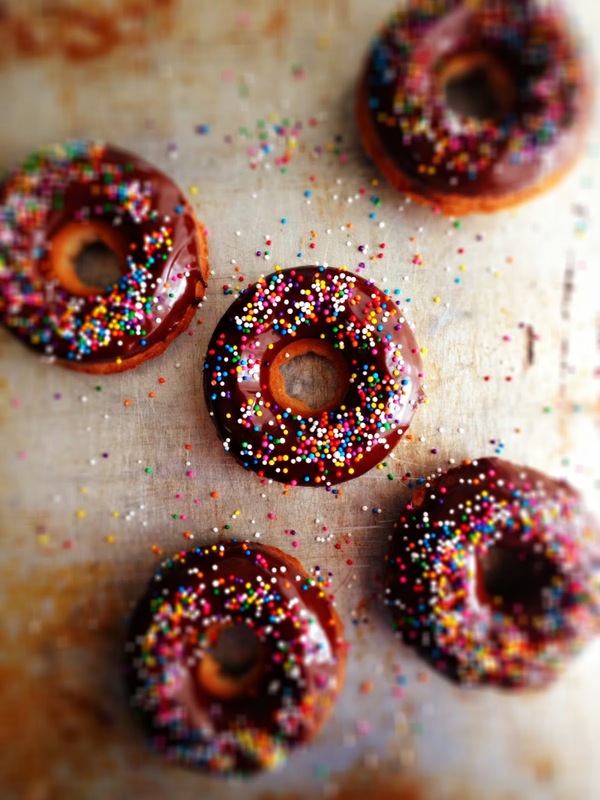 Also, I think this is the first time sprinkles have appeared on the blog. And it won't be the last! Just look how adorable they are. Befitting for a birthday, whether you are 14 or 41. I was quite happy this recipe called for cake flour, as I had a bag of it in my freezer from way back when I made this cake. It was still fine! A bit of rye flour is added for depth, but if you don't feel like buying a bag, no big deal, use all cake flour. Place all ingredients in small saucepan and place over low heat. Stir until melted and smooth. Pour into shallow dish and dip each doughnut in glaze. Don't forget the sprinkles. Your doughnuts are beautiful! I haven't tried baking my own doughnuts before, but this recipe looks manageable. I also like that you put spices right into the dough, yummy! Btw, I'm hosting a link party on my blog and I'd love for you to share this recipe there, if you're interested. Have a great weekend! Renee!!! I've been wanting to make baked doughnuts FOR EVER! I'm so glad you posted this recipe, and the combo of rye and cake flour sounds wholesome and good. Happy belated birthday, wishing you a most magical year ahead! Yummy-ness - Thank you! 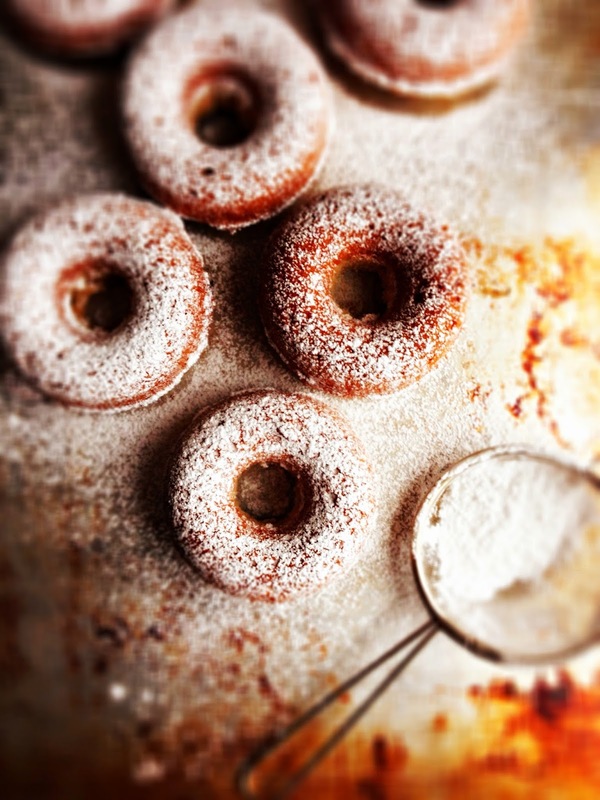 This baked doughnut recipe really is super manageable - as long as you have a doughnut pan you are in business. You never know what will manifest in your life.... what a quote. I know that some of the most painful things in my life have ended up being part of the great joys. Life and it's weird and unknowable balance, I guess. Happy birthday to you Renee! Your doughnuts looks absolutely stunning. The way the glaze is glistening... holy moly. I hope the universe is good to you this year and listens to your whispered wishes.